Husqvarna’s chainsaw hook with auto-lock and elastic strop are easily attached to the arborist’s belt, with the strop design providing a soft stop in the event of the chainsaw being dropped at height. Strop measures 0.5m when relaxed and 1.25m fully stretched out. 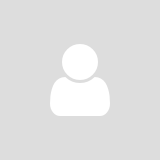 Designed for easy connection to a belt, the hook slips through the waist belt slots or along the harness webbing and stays in place, due to a stabilising clip. 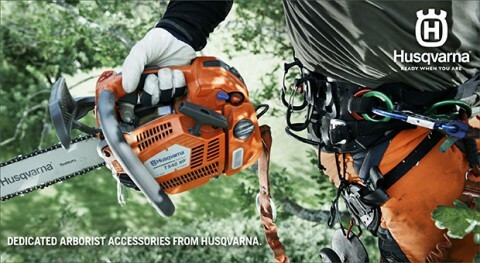 Developed exclusively by Husqvarna, the unique design with overload release makes it possible to use almost any choice of Husqvarna chainsaw at height. The eyelet is attached to the grip of the chainsaw, which can then be connected either to a strop – or directly to the chainsaw hook. 20% lighter than a standard laminated bar and with 25% better rigidity, the TechLite™ bar can be fitted to a selection of Husqvarna chainsaws. With a robust sprocket nose wheel design it’s ready for any high altitude challenge, and highly resistant to permanent deformation if jammed in a cut. The low weight design provides improved balance. Specifically designed for arborist use, the H37 saw chain is characterised by light weight and improved bore cut abilities. It also has a low kick-back feature for improved safety. 3/8” Mini pitch, 1.3mm gauge.